A profession in retail is a unique experience. Whether you feel that selling merchandise to customers is your life passion or just a job to make ends meet, it's important to understand that your position is meaningful, reaches out to many people in your community and leaves a lasting impression. As such, you should always want to excel in it. Excelling as a retail employee includes taking the role seriously, understanding what is expected of you and finding ways to support others in your team. Try your best to arrive at work on time, ideally allowing enough time for traffic (whether you drive or take public transportation) and any unexpected delays as well. It's a good idea to arrive at least 10 minutes before your shift is scheduled to start. This way, you can ease into the workday and have a little time to prepare before going out on the sales floor. If you are habitually late you will be leaving your coworkers in a lurch. You also risk facing disciplinary action or even dismissal, depending on the jurisdiction in which you work. If you can't make work because you're ill or indisposed for a good reason, alert your workplace as early as you can. This allows them to make alternative arrangements to cover your shift. Equally, if you want to get ahead in the job, making it known that you're available to fill in at short notice can be a great way to get noticed, make more money and be seen as highly reliable. 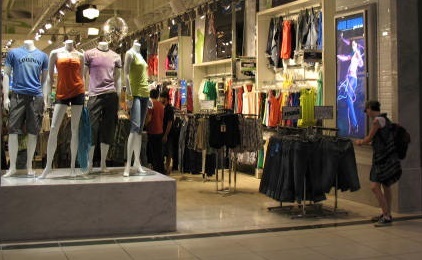 Retail work is very visual, and it includes not only the stock, but those selling the stock too. Smart grooming and good clothing are an important part of presenting a professional image that inspires confidence in anyone dealing with you. Make an effort, even if your natural preference is scruffy and comfortable. Good presentation can also provide you with a professional "shield" between you and customers, giving you the confidence to behave more professionally. If the store requires a uniform of some sort, keep it well laundered and pressed (find out if the company covers such costs). Have a comb or brush handy for touching up hair during the shift, and perhaps a small mirror and some makeup for touch-ups. If you have any questions about what is and is not allowed, ask before doing or failing to do something, or you risk not following the store policies. Many stores give training at the commencement of your job but changes occur over time, so be sure to keep up to date with store policy changes the longer you stay there. For example, you might want to take home used boxes from the store for your volunteer work of doing art with street kids. However, your store might have a policy that employees take nothing from the store; you'd need to know this beforehand, or risk being dismissed.